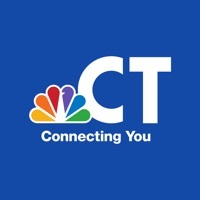 The NBC Connecticut app connects you with top local stories and weather, breaking news, live TV and investigative journalism. FIRST ALERT WEATHER + Exclusive, interactive live radar + Forecasts for your region + Weather alerts based on your location + Exclusive First Alert 10-day forecasts & hourly forecasts brought to you by our First Alert Weather meteorologists NEWS ALERTS & VIDEO + Personalized news alerts + 3D touch news widgets on lock screen + Watch live newscasts, NBC shows and streaming content + Watch video while you read the story I-TEAM INVESTIGATIONS & MORE + Award-winning Troubleshooters investigative stories that get results + NBC Connecticut Responds consumer stories that protect and advocate for you This app features Nielsen’s proprietary measurement software which will allow you to contribute to market research, like Nielsen’s TV Ratings. Please see www.nielsen.com/digitalprivacy for more information. App keeps me updated on local news and weather alerts...helpful! Channel 30 is the most accurate when it comes to weather. The best in reporting professionally. It’s a great station all around. The app is an added bonus. Easy to use and always up to date. Traveling allows me to not only watch my favorite morning news but keeps me informed of any local urgent news alerts!!! Loving it! Up to the minute news when you want to hear it. Weather warnings are great! I use it everyday it is better than all the others. I know I can count on the information provided!!! I love Nbc30's weather app! It keeps me informed of weather issues. I was especially impressed when I was traveling and was alerted to weather issues in my current location! I like getting headlines all day. When I return home after work, I know exactly what news I’ll be reading that evening. Thanks to all for a great user-friendly app. I love this app! From the breaking news notifications to the live tv stream, I use it every day! Channel 30 has been my favorite station for as long as I can remember and they continue to exceed my expectations! Thank you for bringing me the news in the palm of my hand!!! This is a great app with tons of information at your fingertips. Gives school closings/delays as well as news that just happened. It’s one of my top go to apps! Great App to use when I am out of town but want to keep up with CT hometown news and weather updates! I really appreciate the fact that the app provides immediate notifications about school delays and closings. Immediate access to news & weather. Check our local temperature. Best for news & weather! Very helpful to keep up with the latest news and weather. I rarely watch the news on tv in the mornings like I used to and the app helps me keep up to date about what’s going on. We have come to rely on channel 30 for up-to-date information and weather reporting. We appreciate the efforts they make to report on our Quiet Corner as well as the rest of the state! This is a very good app that keeps you updated with what you want. I’m always using it to check the weather. I’m also a newsaholic who loves staying on top of local, regional and national news. WVIT provides up to the moment news, clear and straight forward. User friendly app, perfect for quick weather checks and local news! Easy to use so I’m always up to date on current news and weather! Decent app. But could definitely use more local news updates. The major downfall of this app is the grammatical errors. Whoever writes these stories needs some serious help. Seems like it is written by third grades. Here is few thoughts I have about the app. Hangs up a lot. It’s saying live updates which are not there, just pages trying to load or nbc logo and no info(I’m on Verizon and very good WiFi at home as well as at work, so definitely not my coverage issue).Another thing is that it’s seems like nobody proof reads the articles. A lot of spelling and grammatical issues. You would think that someone would be in charge of making sure that it’s: their books, not there books etc. Overall not happy. I love this app, I use it every day probably multiple Times a day. The interactive map that shows the weather coming thru is perfect! 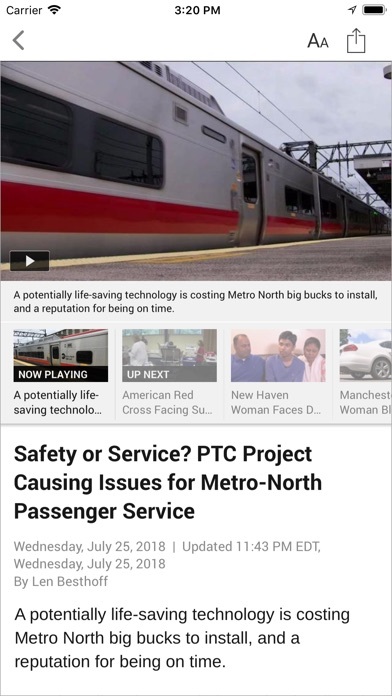 I like this app that gave us breaking news, alert, and many information. Love to have a place that gives me local news and weather updates. Since the update it’s stuck on its main screen with a message on the bottom that says “problem loading data. Please try again. L-011”. Excellent news app! I am not bogged down by trivial interruptions all day. Instead, NBC CT transmits only noteworthy alerts that are truly worthy of my interest & valuable time to read. Love it! I liked the NBC Weather app better, it was more useful - don’t really need the whole news site when on the go. The weather has not been too accurate lately- WeatherBug has been more accurate with recent thunderstorms. Plus every time I open the app it shows my location to be either close to Naugatuck or south of Meridan - I am actually north of Hartford. Just downloaded this for “real-time” alerts for severe weather, lightening strikes, etc. Got an alert that a lightening struck a few miles away from Hartford, CT. 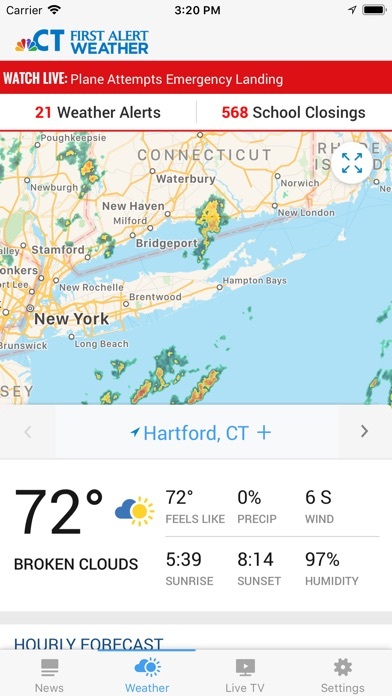 I live 25 miles away from that event and I got zero alerts about the torrential rain about to hit my location, Burlington, CT. Don’t trust the app if you are expecting accurate alerts. 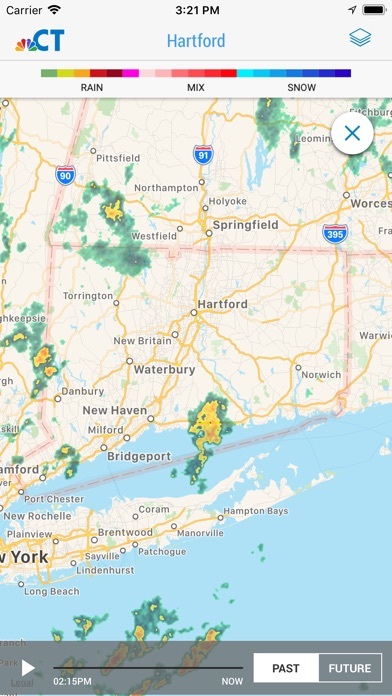 Check chief meteorologist Ryan Hanranhan’s (aka Ryan Francis) Twitter account and he was suggesting folk in Hartford go outside and look to the northeast to see the “light show”. Here’s and idea.....warn folks in the northeast a “light show” is imminent.